A list of countries with death penalty. If you are clean, there’s nothing to worry. Andrew Chan and Myuran Sukumaran, the ringleaders of the Bali Nine heroin trafficking group, were caught by Indonesian authority in 2005. Both Australians now are going to face the firing squad. And suddenly, a bunch of protests come to light. The Aussie netizens even created hashtag #BoycottBali on social media to give pressure to Jakarta. However, capital punishment is the law here. And Indonesia is not alone (and not the one who is prolific either). There are a numerous countries who run death penalty, including USA, China, Russia, Japan, India, etc. If the boycott and the pressure are purely for humanity, why the Aussies apparently has no balls to intervene those others? Let’s back to the basic rule: you are always subject to local law. If you don’t like the law, just don’t come. I think, this is the point where #BoycottBali or even #BoycottIndonesia movement can be a win-win solution. Truth is, it’s a blessing in disguise for Indonesia when the drug dealers, consumers and whoever support them for the sake of human right, are gone. Bali now is too crowded and dirty. Soon after Australian #BoycottBali runs effectively, the nice tourists, be it local or international, would experience Bali as a paradise again. “Pretty sure the people supporting #BoycottBali are the type of people we don’t want coming to Bali anyway. Too many drunk idiots already!” Kate Walton ? (@waltonkate) tweeted. Due to #BoycottBali, Bali might be poorer, but indeed cleaner. We all would iron out the kinks by the movement. So both sides, let’s support this campaign. Case closed. 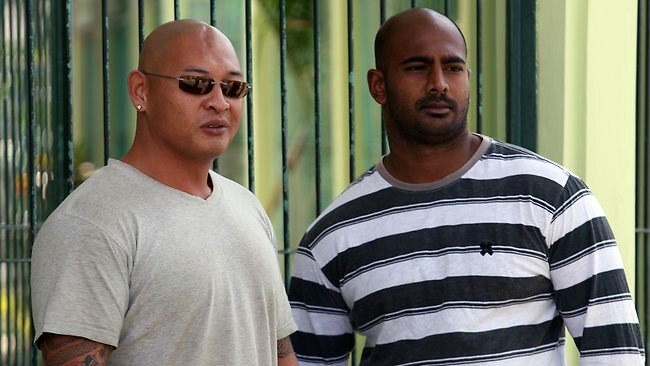 Andrew Chan and Myuran Sukumaran. Drug smugglers to Indonesians. Heroes to Australians. Of course, when it comes to the government’s interest, it’s not over yet. Even Indonesian leaders also begged (but never forced or bullied anyone) several times for mercy when its citizens were about to execute abroad. It’s very normative. Like what parent do to protect their troubled child. President of Brazil, Dilma Rousseff, has sent her ambassador back as a way to protest Indonesia. But Australian Prime Minister, Tony Abbott, was way more “creative”. He did everything, including urged Indonesia to remember Canberra’s worth $1 billion help for the 2004 tsunami in Aceh. Regardless the great amount of money, that statement hurt Acehnese so bad. They soon responded him with hashtag #KoinUntukAustralia or #CoinForAustralia. Not just on Internet, the Acehnese are really chipping in to payback all donation of Australia… in coins. Indonesian people used to massively collect the coins to symbolize grass root society against the arrogant and rich person or company. In this case, they would give those coins to Mr. Abbot, a big guy who sees humanity aid as an investment. There are 56 countries who gave significant donation to Indonesia when the disaster occurred. Australia is just one of them. But if the aid meant to be a free tickets for Australian passport holders to do whatever they like in the future, Indonesia won’t accept it at the first place. As far I know, there are also Indonesians, Dutch, English, Nigerian, French, Ghanaian and Filipino who queues before the firing squad. But Australian is the one who overreacts. “Don’t play holy men! Indonesia is a corrupt govt, with a handful of blood and terrorism. We don’t want our boys death under a corrupt system,” a tweep supporting #BoycottBali and #IStandForMercy said on Twitter. Yes, Indonesia is not a utopia. We are still struggling to free ourselves from poverty, corruption, racism and terrorism. That’s why, we executed the masterminds of Bali Bombing too. That’s why we have anti-terror units like Densus 88, Gultor Kopassus, etc. But hey, “Don’t play holy men” is perfect advice for the Australians too. The tweet boomeranged to the Aussie tweep herself. How could she forget about spying on President of Republic of Indonesia and at least nine high functionaries’ cellular phones in 2013? How could she forget about boat men? How could she even forget how her ancestors treated the Aborigines, the real citizen of Australia? Indonesia applies death penalty. You have been warned since in the airport. 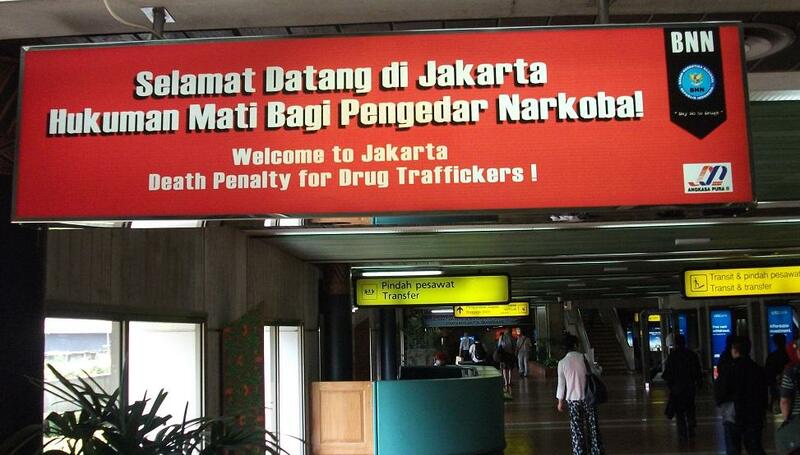 Like it or not, Indonesia has declared war against drugs. We have death penalty. If you are clean (and don’t kill people), of course, you should not be worry about it while traveling to Indonesia. Yes, the death sentence seems harsh, but the convicts knew what they are facing when caught. So, they must be well-prepared for this. Rich fast or die worst, that’s their fate since the beginning. You don’t think the smugglers would show remorse if they didn’t get caught, do you? Then if (I say “if”) Indonesia would demand a really high price as a ransom or blood money (or whatever the term), will you redeem it? Are you willing to give away a great amount of money collected from honest tax payers to set the criminals free from the death? Next question, how do you feel about the lives ruined by the drugs? How many people, even children, have died or would die due to drugs those people smuggled? Drugs and junkies are a costly plague on society. My condolence for the death-row prisoners and their family. But something has to be done. Otherwise, more and more people will be the victims. Yes, it should. But hopefully, these prominent executions announce louder than the sign boards. Drugs are a serious threat to the nation , which needs to be prevented . so equitable that dealers and city Sebera punished severely.